MEMBERS of the Ahmadiyya Muslim Community have raised over £3,100 for the Royal British Legion poppy appeal in just two days of fund raising. A 30 strong team of fund raisers spent the weekend collecting money for the appeal at various collection points and president of the community, Atiq Ahmad Bhatti, was amazed at the generosity of the general public. He said: “Every year, members from the Ahmadiyya Muslim Community U.K. raise thousands of pounds for the Poppy Appeal throughout the U.K., at supermarkets, football stadiums and airports. “The generosity of the British Public has, like always, far exceeded our expectations. They have donated an incredible amount towards this most important appeal. 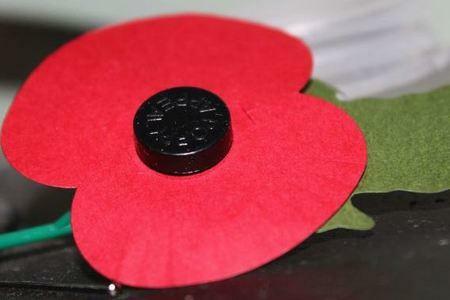 This year will also see the Ahmadiyya Muslim community lay a wreath at the remembrance Sunday ceremony in Burnham. This is the 4th year the Muslim community has done this and it is something that Atiq sees as a big honour. Share the post "More than £3,000 was raised ahead of Remembrance Sunday"